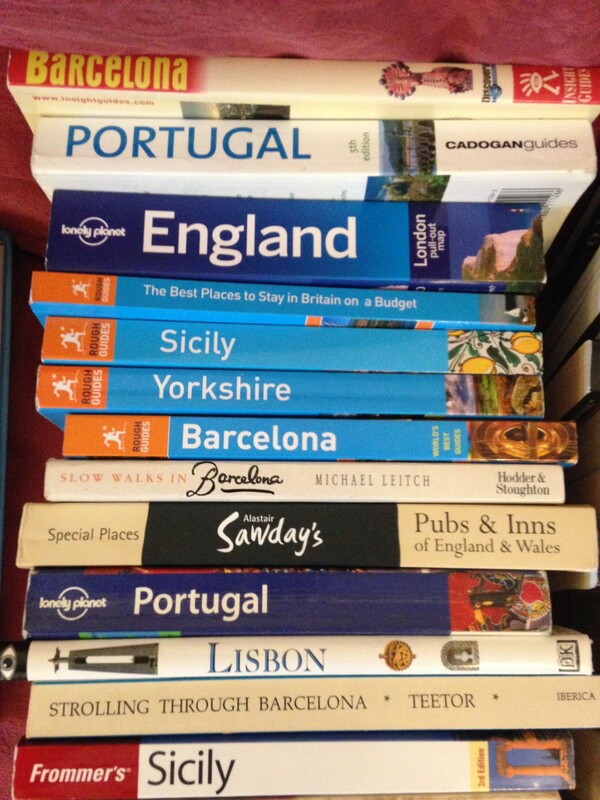 Travelling – and writing about travelling – has kept me in work for almost 30 years, so I know a thing or two about it. I also know that it’s not as easy as it seems, and that it’s not always as much fun as it should be. Sorry – you probably didn’t want to hear that. But here, for what they’re worth, are some of my experiences, tips and suggestions. The rest is up to you. It sounds obvious, but it’s true. To be a travel writer, you need to be a writer. Not a professional writer, or even a published writer, maybe not even a regular blogger – but you do need to like writing. In a journal or diary, during lunch at work, before the kids get up in the morning, whenever and whatever. You don’t have to love writing – on the whole, it’s not heartfelt masterworks we’re talking about creating – but you do have to like it enough to do it day in, day out. It’s a job, after all. It’s not sufficient – and here’s the kicker – simply to like the idea of travelling, or going on holiday, or being in foreign places. You have to want to write about those things too, in a way that can inspire other people. I was born in West Africa and my father travelled the world as a teacher and educator. He brought back weird stuff and colourful stamps. I grew up used to the idea of ‘abroad’ and as soon as I was old enough (at 15) I was off around England on my own, and then Europe, and later the world. I like being some place that isn’t home. But actually, the important part of that sentence is ‘some place’. You don’t have to have been around the world, seen exotic places and done exciting things in amazing foreign places to be a travel writer. The park at the end of your street is foreign and exotic to much of the rest of the world. If you can make it sound so – if you can say what’s unique about it, in an appealing, enticing way – you can be a travel writer. See above. It’s not all about the travel to foreign parts. Sometimes, it’s about making the familiar seem different. When you do travel, don’t be precious about it. Wherever you go, and for however long, you’re not a ‘traveller’ inducted into some arcane priesthood, you’re a tourist. You’re a guest in another country, for a short or longer period, and then you’re going home again, where you’ll tell people all about your holiday, for a holiday is what it was. Not being precious about this truth allows you to tell other truths: what is this place really like for a visitor? did you like it? would you recommend it to someone else? I sold my first article to a local newspaper for £12.50. That was almost as risible a sum then as it is now for a piece of work. Of course, I was thrilled – less so when the paper gleefully took three more hand-crafted, well-written features for the same amount, making a total of fifty quid for a week’s work. It doesn’t always get a whole lot better. Editors often expect a written pitch idea (for no money) that’s almost as long as the proposed feature itself; book publishers pay paltry advances (almost no money) to research a region or even a whole country; bloggers are offered ‘exposure’ (yep, that’s right, no money) to come up with ‘Top 10s’ and other web content. Why are you doing this again? Because you like writing and travelling, remember? Do it all . . . But if you’re determined to try and make a living from travel writing, then do it all. Every last offer of work, however badly paid, however frankly insulting. At least at the beginning. Because you have to get your name out there, and you have to accept that there are lots of other people out there trying to do the same thing. See it as an apprenticeship, which is what it is – you need experience and contacts more than the £12.50. The thing that web and print editors love more than anything else – seriously, anything – is a person who writes something when they say they’re going to write it. It’s even better if you write what you were supposed to write, to the brief they gave you, but most loved of all is the copy that came in on time. Sadly, editors love that more than your writing being any good, or even being grammatical, because they can fix those faults quickly themselves. What they can’t fix is a gaping hole where 800 words or a Top 10 Restaurants list is supposed to be on deadline day. I got a break with the Daily Mail many years ago by agreeing to write a very last-minute article on a subject I knew nothing about (best European beach resorts, as it happened). It seemed like a very bad idea at the time, what with the whole knowing-nothing-about-European-beach-resorts thing, but – delivered on time and to length – that feature turned out to be the best audition I ever did. Editors love a punctual, reliable writer, so make yourself that person. You can’t always – or perhaps ever – go to Uluru, dive in the Caribbean or hike in the Andes. You might get asked to go to a morris-dancing festival instead, or visit a pencil museum, or research the history of Swedish monarchs. Guess what? All those things turn out to be really interesting (no, really), and they often lead to other commissions, and before you know it you are the Go-to Guy when it comes to some particular part of the travel world. And even if nothing else ever comes of your trip or your research, you have at least learned that graphite was an absolute swine to dig out of a Lake District mountain in the 16th century. Apparently. Just saying. What’s your favourite place? Do you know a good hotel in Barcelona? Have you ever been camping in Scotland? Is there a good website about taking the train to China? You’ll get asked lots of things, once people know you’re a travel writer, and (because you’ve heard them all before) you could let your eyes glaze over and trot out some pat answer. Or you could engage with the question and inspire the person, because doing it face to face is just like writing about it, only without the writing. The point is, that’s your audience right there, right then. They might not subsequently buy your book or read your blog, but you will have shared some knowledge and made someone happy, and that’s a good thing. So off you go then, down to the park at the end of your street. It’s time to start travelling. Thanks for an honest, no-nonsense portrait of travel writing. Thank you for the lovely comment!I’m glad you liked the piece, it was important for me to write. There’s a lot of glamour attached to travel writing, but I thought it was worth sharing some of my personal experiences too! Hello, just wanted to mention, I liked thiss post. It was funny. Thanks, that’s really nice of you. I’ll certainly keep on writing and posting, so hope to see you back some time. Glad you liked it Cristina, thanks for the kind words. I didn’t start out with plans to be a travel writer either – it just kind of happened – so you never know, one day the call from NatGeo might come! Keep on posting!